The budding trend in the mobile based web world, the mobile phone users who access Internet via their mobile phones are very huge and still go on to rising. All at once, the use of interactive applications on mobile devices is swiftly rising. Mobile Apps Development in Jaipur is emerging trendy due to the escalating figure of consumers switching to smart phones. More than 32 million smart phones have been sold globally. 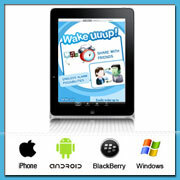 Mobile apps development is the process of developing an interactive application for smart phones. Nowadays sophisticated end users entail mobile applications with more processing power, litheness, reliability, safety and integration with other applications. ASP IT SOLUTIONS has the tools, processes and understanding necessary for mobile applications development swiftly and inexpensively. ASP IT SOLUTIONS has extensive experience in custom mobile application development and has vast expertise in developing Android Mobile Applications. Our solutions on all the major smart phone and handheld platforms help our customers attain a swift time to market with a supreme cost lead. We pursue the utmost standards in the industry for industrial process, product superiority and delivery and after sales support. From the time when Google took on Apple in the war of smart phones, Google’s Android Operating System has become a extremely popular OS and smart phone makers like Samsung, LG and HTC have espoused Android OS on their smart phones making the application market a level playing pitch between Google’s Android and Apple’s iPhone. ASP IT SOLUTIONS has in-house potential and proficiency in developing Android applications. If you are considering construction of a smart phone application that boosts your online company or crave to craft a new trade opportunity in this sector targeted for huge Android users, our panel of Android Application Developers in Jaipur has the competency and proficiency in this fantabulous platform. To get a cost-effective Mobile application development quotation, please email us at [email protected].